The latest news from Brussels: Italy is not happy with Article 13 or Article 11, and wants them gone. 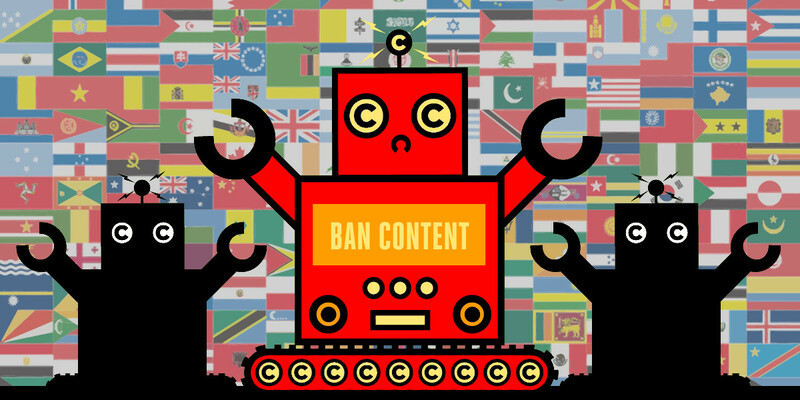 What is going on with Europe’s meme-filtering Article 13 (and the hyperlink-meddling Article 11)? After the proposals sneaked over the finish line in a close European Parliamentary vote in July, the decision-making has dipped out of the spotlight into the backrooms of the EU. Behind the scenes, attitudes are still shifting against the new Internet rules. Italy’s domestic government has now taken a strong position against the bill. If they hear from EU citizens, other governments may shift too. The Copyright in the Digital Single Market Directive — the legal instrument that hold both articles — is now in its “trilogue” phase. That’s where the governments of the EU’s member countries send their permanent representatives and legal experts to huddle in meeting rooms with the Parliament’s negotiators, and thrash out a text that works for the central European Parliament and the governments of individual European countries (who have to implement and enforce it). Under normal circumstances, the trilogue should be a fine-tuned bureaucratic debate on the subtle legal details of the Directive, with member states contributing their understanding of their own legal systems, and the Parliament’s negotiators offering to change wordings to reflect those practicalities. But Articles 13 and 11 have never been part of a normal, consensus-driven procedure. Parliament was divided over Articles 13 and 11, and even the member states don’t agree with one another whether these provisions make sense. Back in May 25, when member countries met to settle on their original “negotiating text”, the national governments barely agreed between themselves on whether the directive should go forward. When the member states vote together as the European Council, a proposal fails if a “blocking minority” oppose it – that’s either 13 member states by number or any number of states that, combined, hold more than 35% of the EU’s population. In May – or so the EU gossip had it, because these votes aren’t made public – Germany, Finland, the Netherlands, Slovenia, Belgium and Hungary all opposed the directive, largely because of Article 13 and 11. With 25% of the EU population between them, their opposition wasn’t enough to vote it down. Then, this July, Italy publicly switched sides. After Italians rose up to warn their new government about the directive (thank you, Italian Internet users! ), the country’s new Deputy Prime Minister publicly voiced his concern about the proposals. Since then, Italy has been the strongest proponent at the EU of getting rid of the two articles altogether. Italy also holds 11% of the EU population – tipping the total opposition among the states to over 36%. So why isn’t this the end of the Article 13/11 fiasco? There may now be sufficiently large opposition to the articles to create a blocking minority if they all vote together, but the new bloc has not settled on a united answer. Other countries are suspicious of Italy’s no-compromise approach. They want to add extra safeguards to the two articles, not kill them entirely. That includes some of the countries that were originally opposed in May, including Germany. Axl Voss, Article 13/11’s strongest advocate in the Parliament, won his pro-Article 13/11 victory there by splitting the opposition in a similar way. Some Members of Parliament voted for amendments to delete the articles entirely, while others voted for various separate compromises, but Voss was able to coordinate all those who supported the articles to unite to vote in favor of just his proposals. His single set of pro-Article13/11 amendments beat out many individual opposing amendments.